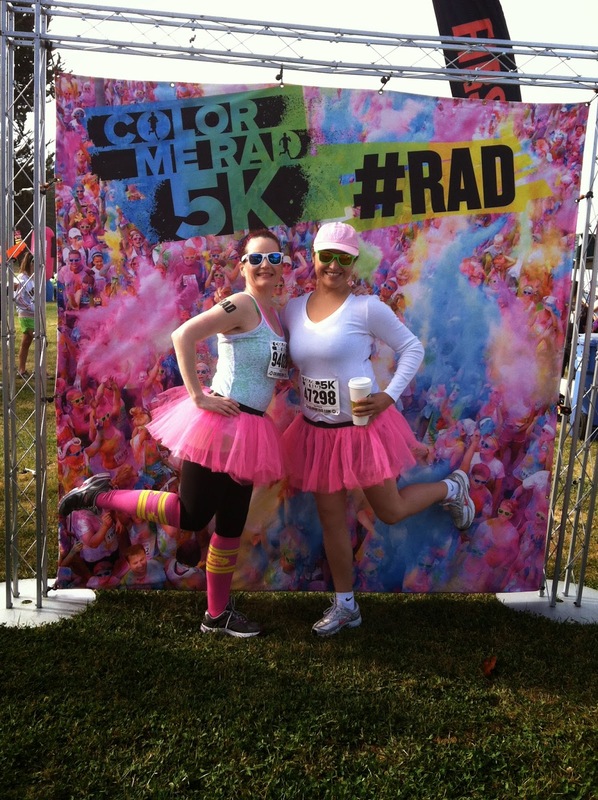 We had a fantabulous time this past weekend at the Color Me Rad 5k. My third color run that I've done. 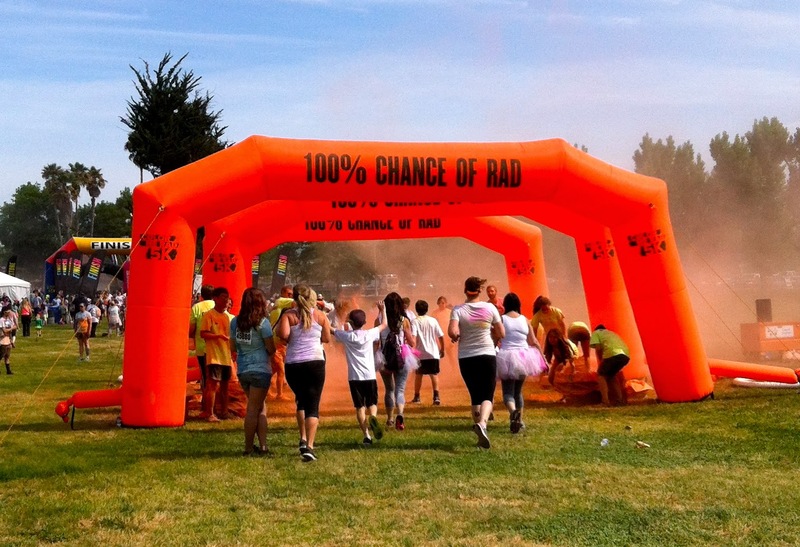 But you may be wondering...what exactly goes down at a color run? You run, walk, or prance your way around a 5k course (usually all flat) - no hills! No running for this girl. First on the schedule? Tattoos and tutus! Next on the list? Throw color on each other! The BF sure looks handsome in pink! Then we started the 5k! I never miss a chance to pose for pics with my peeps! And of course, there's always time for kissing! I want to do that! It looks like so much fun! Love the photos. 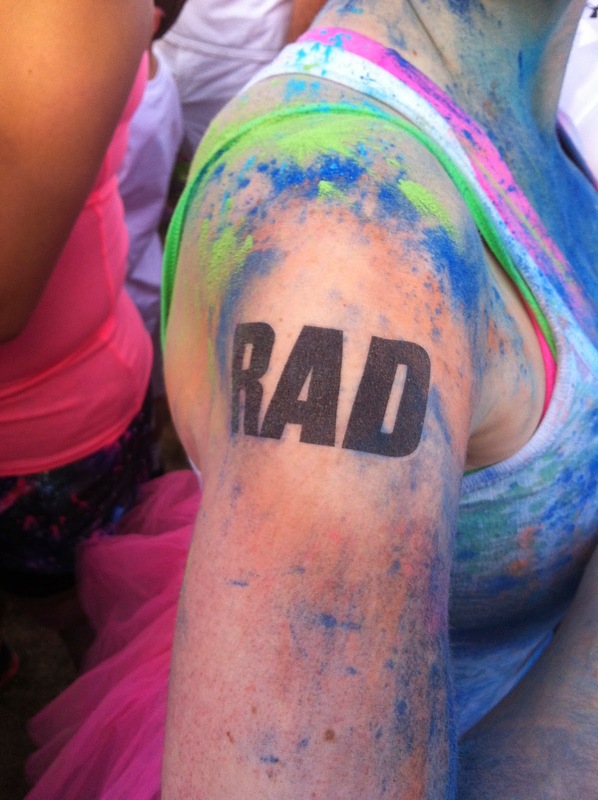 Because you ARE the raddest of the rad! That's crazy cool!! I wish I could do that in my city without getting sent to a psychiatric institution.